Yes it's true! 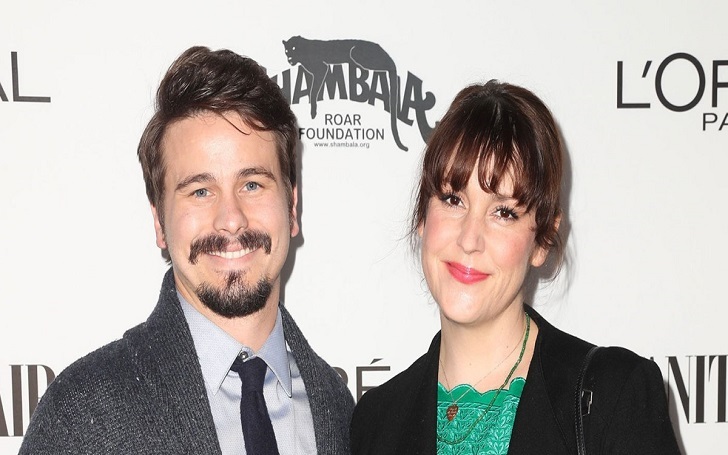 Days after multiple sources confirmed Melanie Lynskey and her husband Jason Ritter welcomed their first child, a baby girl, in December 2018, the New Zealand actress has confirmed that she gave birth to an adorable daughter. The proud mom, 41, took to Twitter on Thursday, January 31, to confirm the arrival of the latest addition to the family. We feel lucky to have been able to have our news just be for friends and family for a while, but I guess the story got out, so! Yes! She added, "@JasonRitter and I had a daughter in December. We love her so much; she’s perfect." She then thanked fans for their sweet congratulation messages. The actress also gave a shout-out to her "wonderful doctors" and "amazing heroic caring brilliant nurses", adding that "from labor & delivery to postpartum, every one was an angel and I’m eternally grateful." As we previously reported, multiple sources confirmed on January 27 that Melanie and Jason, 38, welcomed their first child together. Sources confirmed the birth news after finding that the Parenthood actor's friend Neema Barnette had already congratulated the couple for the baby. Melanie and Jason, who is the son of late actor John Ritter (died from aortic dissection in 2003). announced their engagement during an interview with Hollywood Today Live in February 2017. Melanie was previously married to actor Jimmi Simpson (2007 - 2014). Mila Kunis takes a stand against Sexism in Hollywood.